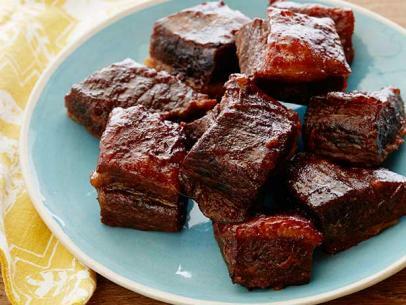 Preheat a grill to approximately 250 degrees F.
Lightly season the ribs with the five-spice powder so it forms a light crust. Put the ribs, meat side up, over an area of the grill with indirect heat. Let the ribs cook for 2 hours. 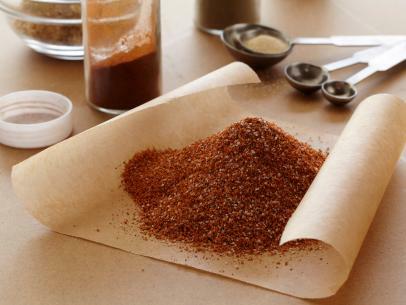 While the ribs are cooking, prepare the barbecue sauce. Heat a medium saucepan over medium heat. Add the bacon and cook slowly to render its fat, about 4 to 5 minutes. Discard the particles with a slotted spoon, leaving the bacon fat in the pan. Reduce the heat to low, add the shallot and garlic, and saute until fragrant and slightly caramelized, 2 to 3 minutes. Pour in the light soy sauce and rice vinegar. Allow the liquid to deglaze the pan for a moment, and then whisk vigorously to scrape any brown bits from the bottom of the pan. Add the hoisin sauce and ketchup, and continue whisking together until well incorporated. Simmer the glaze for 2 to 3 minutes. Stir in the honey, apricot preserves and brown sugar, 1 tablespoon at a time. Simmer for an additional 2 to 3 minutes. Add the ginger, whisk and keep simmering for 2 to 3 minutes. Whisk in the chili sauce and let the sauce simmer for a final 8 to 10 minutes. Remove the pan from heat. Reserve 1/4 cup of the sauce in a separate bowl. 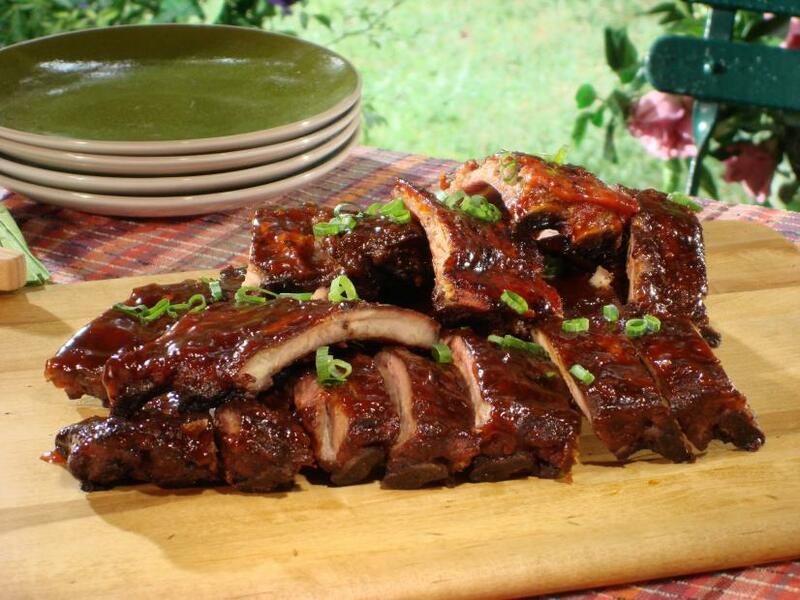 After the ribs have cooked for 1 hour, begin basting them with the barbecue sauce. 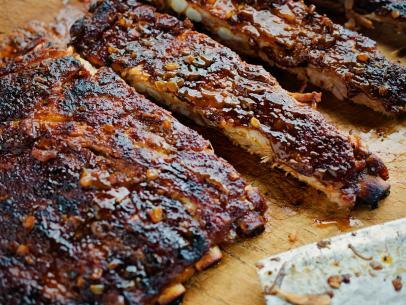 Coat them well once every 15 minutes, until the ribs reach an internal temperature registers 165 degrees F on an instant-read thermometer. 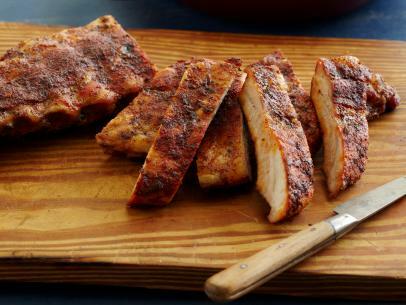 Remove the ribs from the grill to a cutting board and let rest, tented with aluminum foil for 5 minutes. 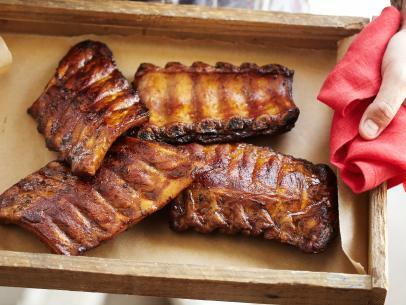 Slice the ribs between each bone and arrange them on a serving dish. 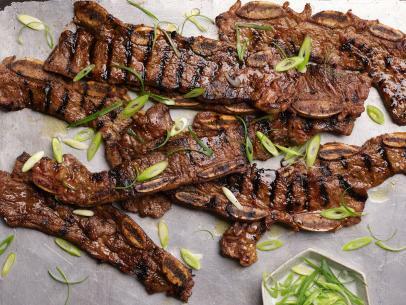 Drizzle with the reserved glaze and garnish with the chopped green onions.